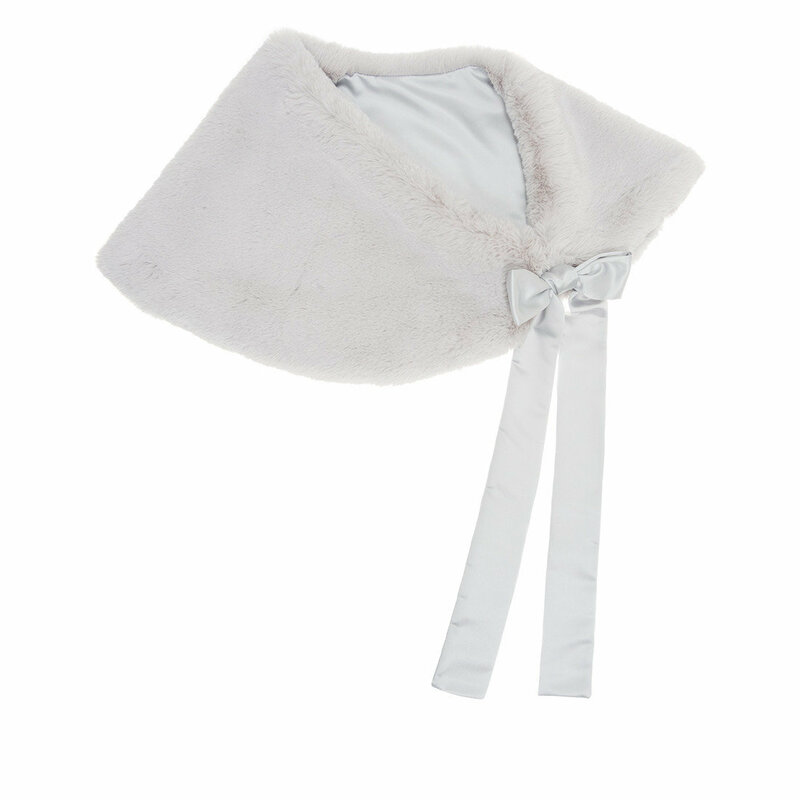 The Beautiful Ermine faux fur shoulder wrap is designed to sit perfectly around the shoulders, and can be worn twisted to the side. The curved boat shaped back enhances the line and detail of a wedding dress, while keeping shoulders warm. 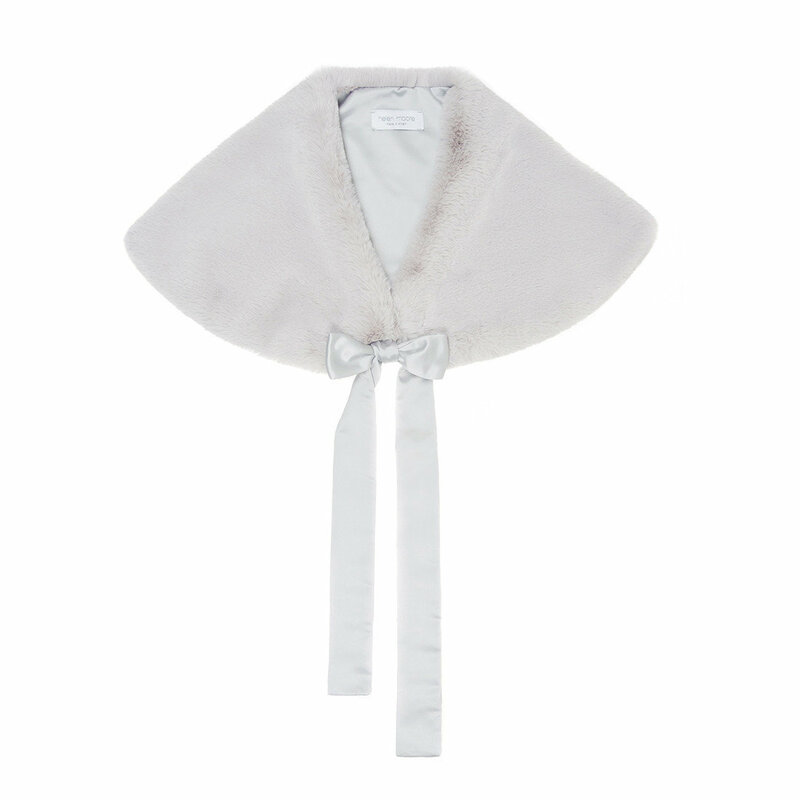 The wrap is lined in ivory satin and has a hidden hook and eye and satin loops to which a long satin ribbon tie can be added. Designed for The Wedding Collection in England.